The adaptation of an athlete to systematic physical exercise has been shown to be determined by a combination of great many genes. The aim of our study was to investigate the dependence of the aerobic capacity parameters in sport on the set of gene polymorphisms. Cardio-respiratory system (CRS) adaptation reactions to exercise of 72 endurance athletes were assessed using the gas analysis. The analysis of the obtained results has shown both single and combined effect of the gene polymorphisms on the aerobic capacity. The impact of 6 polymorphisms on the aerobic performance level was analyzed: Т–786→С polymorphism of the promoter of еNOS gene as well as АСЕ I/D polymorphism, Рго/Ala polymorphism of PPARG gene, G/C polymorphism of PPARA gene, Pro582Ser polymorphism of HIF1α gene, and Ala203Pro polymorphism of PPARGC1B. It was found that a single impact on the HRmax providing АСЕ I/D polymorphism. Individual influence of АСЕ gene accounts for 2% of this index dissipation. Results showed that there is a dependence between the amount the maximum volume of consumed oxygen (VO2max) from the set of gene polymorphisms. Cumulative impact of these polymorphisms in the combination with the individual parameters (gender; qualification; kind of sport) stipulates 71% of dispersion of VO2max value. 1. Ahmetov I.I., Astratenkova I.V., Druzhevskaya A.M., Rogozkin V.A. Combinatorial genetic analysis of physical performance in athletes Eur J Hum Genet. 2007; 15 (1): 301. 2. Ahmetov I.I., Mozhayskaya I.A., Flavell D.M., Astratenkova I.V., Komkova A.I. PPARA gene variation and physical perfprmance in Russian athletes. Eur J Appl Physiol. 2006; 97 (1): 103–108. 4. Bouchard C., Rice A.P., Skinner J.S., Wilmore J.H., Gagnon J., Perusse L., Leon A.S., Rao D.C. J Appl Physiol. 1999; 87: 1003–1008. 5. Bouchard C., Sarzynski M.A., Rice T.K., Kraus W.E., Church T.S., Sung Y.J., Rao D.C.; Rankinen T. Genomic Predictors of Maximal oxygen Uptake response to standardized exercise training programs. J. Appl. Physiol. 2011; 110 (5): 1160–1170. 6. Bray M.S., Hamberg J.M., Perrusse L., Raikinen T., Roth S.M., Wolfarth B., Bouchard C. The human gene map for performance and health-related fitness phenotypes: the 2006–2007 update. Med & Sci in Sports & Exercise. 2009; 41 (1): 35–73. 7. Dosenko V.E., Zagoriy V. Yu., Haytovich N.V., Gordok O.A., Moibenko A.A. Allelic polymorphism of endothelial NO-synthase gene and its functional manifestations. Acta Biochem. 2006; 53 (2): 299–302. 9. Eynon N., Meckel Y., Sagiv M., Yamin C., Amir R., Sagiv M., Goldhammer E. Do PPARGC1A and PPARα polymorphisms influence sprint or endurance phenotypes? Scand J Med Sci Sports. 2010; 20 (1): 145–150. 11. Gómez-Gallego F., Ruiz J.R., Buxens A., Artieda M., Arteta D. The −786 T/C polymorphism of the NOS3 gene is associated with elite performance in power sports. Eur J Appl Physiol. 2009; 107 (5): 565–569. 12. Mishchenko V., Suchanowsky A. Athletes’ endurance and fatigue characteristics related to adaptability of specific cardiorespiratory reactivity. AWFiS. Gdansk 2010: 176. 13. Montgomery H., Clarkson P., Bornard M. Angiothensin-converting enzyme gene insertion/deletion polymorphism and response to physical training. Lancet. 1999; 53: 541–545. 14. Platonov V.N. System of athletic preparation in Olympic sports Soviet sports. Moscow 2005: 820. 15. Puthucheary Z., Skipworth J.R., Rawal J., Loosemore M., Someren K.V., Montgomery H.E. The ACE gene and human performance. 12 years on. Sports Med. 2011; 41 (6): 433–448. 16. MacDougall J.D., Wenger H.A., Green H.J. Physiological Testing of the high-performance. Athlete Human Kinetics book. 1991; 432. 17. 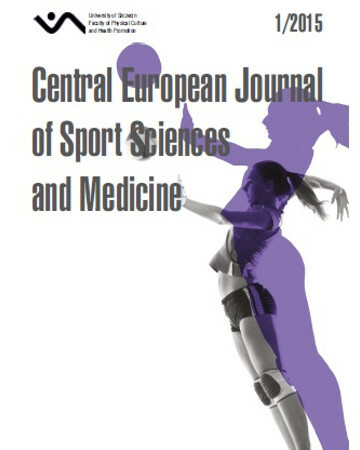 Rankinen T., Roth S.M., Bray M.S., Loos R., Pérusse L., Wolfarth B., Hagberg J.M., Bouchard C. Advances in Exercise, Fitness, and Performance Genomics Medicine and Science in Sports and Exercise. 2010; 42 (5): 835–846. 18. Ruiz J.R., Gomez-Gallego F., Santiago C., Gonzalez-Freire M., Verde Z., Foster C., Lucia A. Is there an optimum endurance polygenic profile? J Physiol. 2009; 587 (7): 1527–1534. 19. Timmons J.A., Knudsen S., Rankinen T., Koch L.G., Sarzynski M. J. Appl. Physiol. 2010; 108 (6): 1487–1496. 20. Williams A., Folland J. Similarity of polygenic profiles limits the potential for elite human physical performance. J Phisiol. 2008; 586 (1): 113–121.